John Redman Coxe was born in Trenton, New Jersey, in 1773, the son of attorney Daniel Coxe and Sarah Redman. Because Daniel Coxe was an ardent Loyalist, who moved to New York in 1777 and then to England after the war, John Redman Coxe was raised in Philadelphia by his maternal grandfather, noted physician John Redman. Later, however, John Redman Coxe joined his parents in England and received a classical education in London and Edinburgh, including courses in anatomy and chemistry at London Hospital in 1789 and 1790. He then returned to Philadelphia to study under Dr. Benjamin Rush (including work in the 1793 yellow fever epidemic) and courses at the University of Pennsylvania Medical School. After earning his M.D. in 1794, Coxe traveled to Europe again to continue his medical education in London, Edinburgh, and Paris. John Redman Coxe began his medical practice in Philadelphia in 1796, two years before he married Sara Cox, with whom he would have ten children. Coxe quickly became associated with various medical institutions in the city, serving as resident physician at Bush Hill Hospital in 1797, Philadelphia port physician in 1798, and physician at Pennsylvania Hospital and the Philadelphia Dispensary from 1802 to 1807. 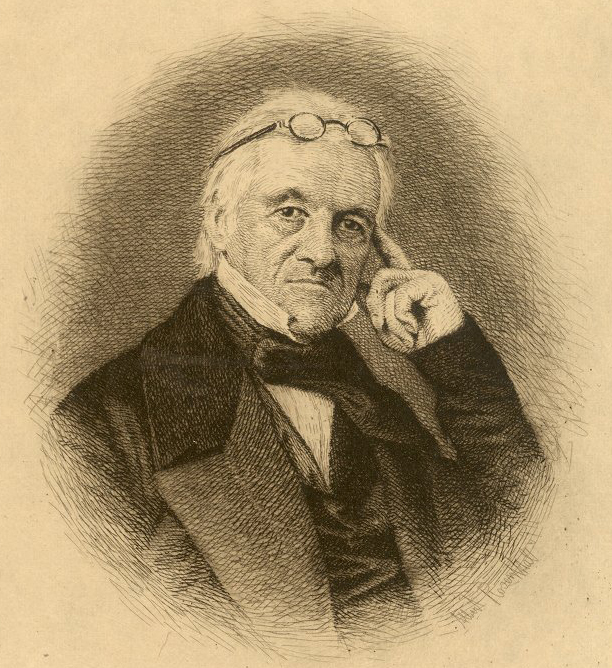 Coxe actively promoted vaccination; as one of the first Philadelphia doctors to vaccinate, he vaccinated his infant son and himself in 1801 as encouragement for others to do the same. He had been one of the founders of the Chemical Society of Philadelphia in 1792 and was later elected a lecturer there and then president. Given Coxe’s interest in chemistry, his lucrative medical practice included a drugstore; his “Coxe’s Hive Syrup”, used as an emetic, expectorant, and diaphoretic, became a popular syrup for more than fifty years. 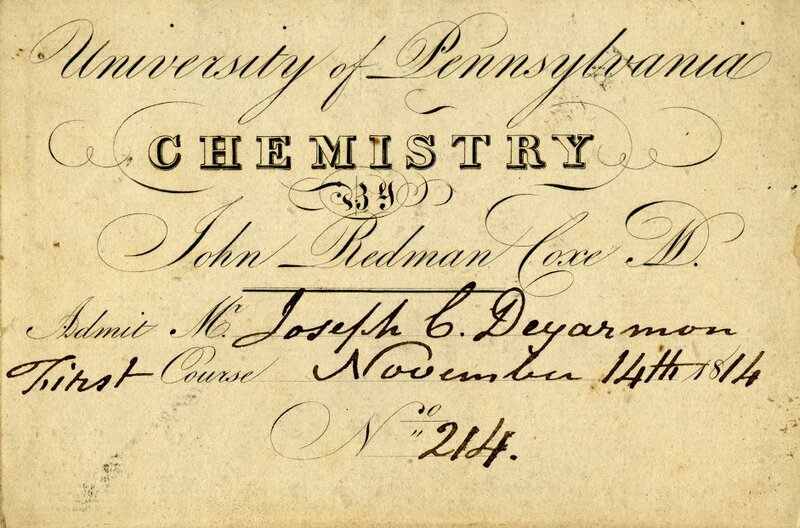 At the time of his 1809 appointment as the chair of chemistry in the University of Pennsylvania Medical School, Coxe gave up his drugstore and resigned from the Chemical Society. Not finding much success as a chemistry professor, Coxe applied for and was elected professor of materia medica and pharmacy in 1818. Coxe urged the University to offer a master of pharmacy diploma, but Philadelphia pharmacists preferred to avoid control by a medical faculty by establishing their own institution in 1821, the Philadelphia College of Apothecaries (later Philadelphia College of Pharmacy). The Penn medical faculty eventually found the subject of materia medica and pharmacy to be of secondary interest; they also had little respect for Coxe’s abilities as a teacher. Thus, in 1835 Coxe lost his professorship at the University of Pennsylvania. Coxe made more important contributions as a medical author and editor. The most significant of his many publications were Practical Observation on Vaccination, or Inoculation for the Cow-pock (1802) and the American Dispensatory (1806). Coxe edited several journals, including Philadelphia Medical Museum (1805-1811), Emporium of Arts and Sciences (1812-1814). Coxe was also considered an exceptional Greek and Latin scholar. His many intellectual endeavors earned him election to the American Philosophical Society in 1799. He served as Trustee of the University of Pennsylvania from 1806 until his appointment to the medical faculty in 1809. John Redman Coxe died on March 22, 1864.